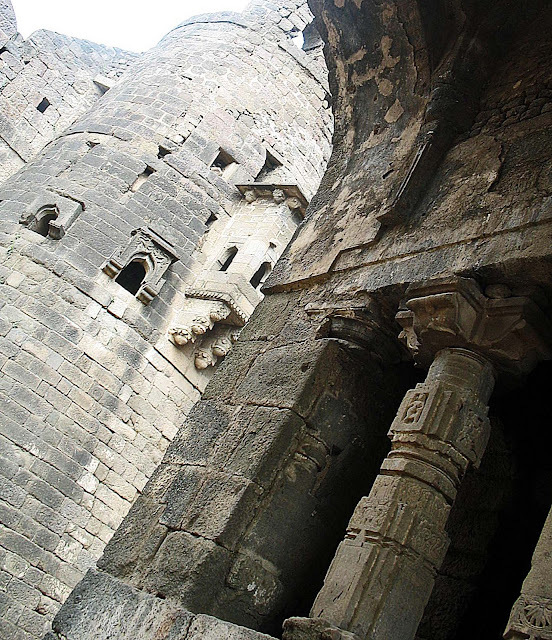 The small city near Daulatabad Fort was once known as Deogiri, and the city was founded in the 11th century AD by the Yadavas of Deogiri and the fort was built by them. 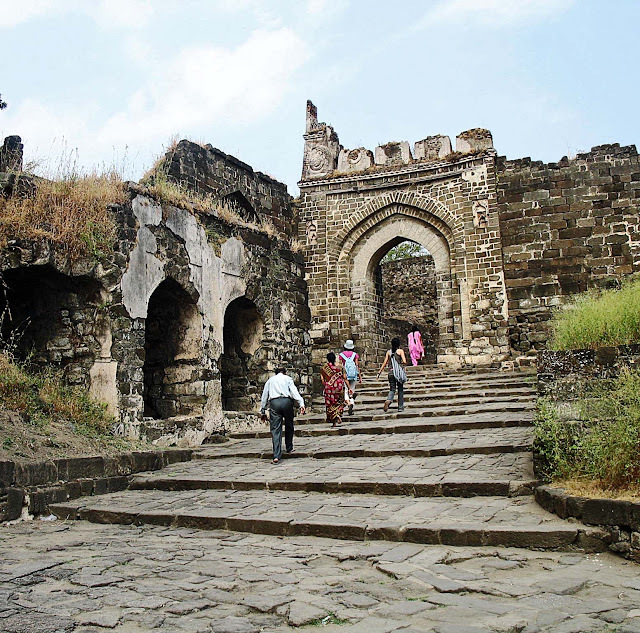 The Yadavas were defeated in the 13th century by the Mughals who renamed the place Daulatabad. 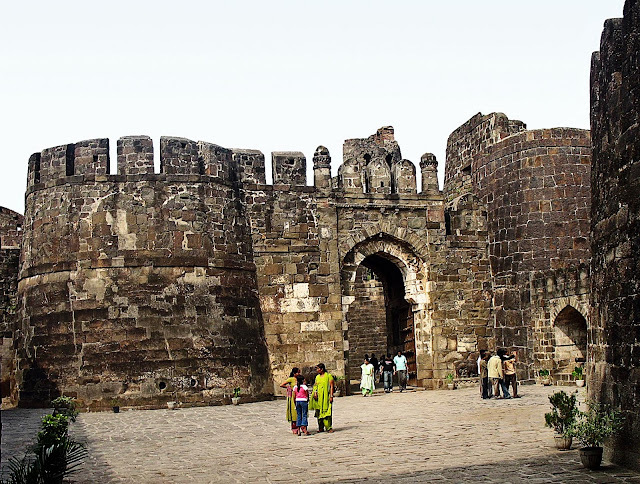 The fort is built on a hill and is one of strongest forts of medieval India. Its defense system consists of a moat, high fortified walls and bastions and is considered one of the "world's best preserved forts of medieval times." 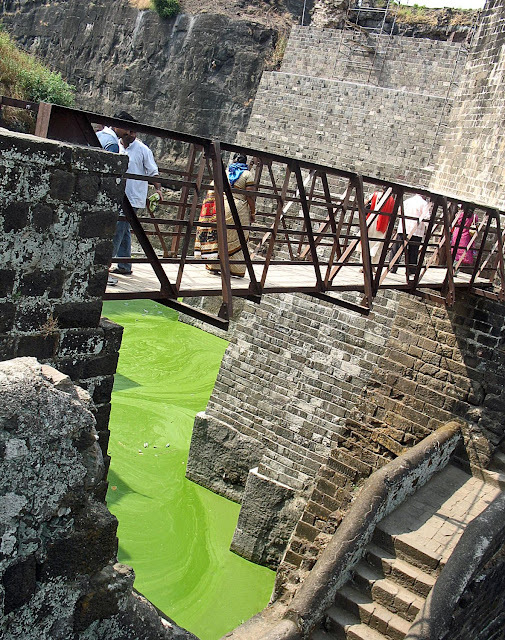 There are not many tourists here as Daulatabad Fort is not well maintained and not tourist friendly. 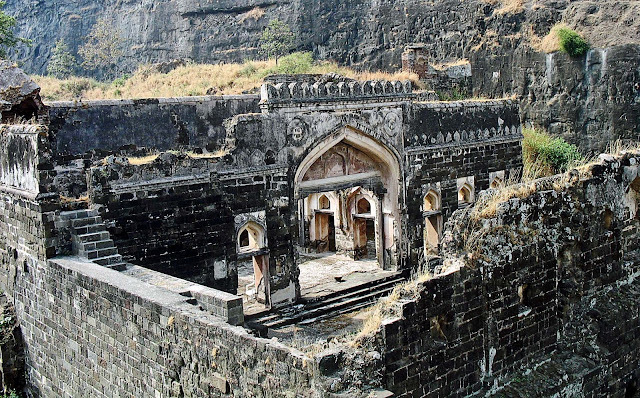 It is near Aurangabad and the tourists usually see Ajanta and Ellora instead of this forgotten fort. This is the entrance to the fort after walking up the 200 metre hill. As you go up you can see the massive walls that fortify the structure. This is a glimpse of the inside rooms of the fort from a higher level. This is the moat that protects the fort. A close-up of the thick stone walls and pillars of the fort. Or try the label "Monuments" for ancient monuments from India and the world.